Injuries have been a problem for San Diego ever since the beginning of the season. Multiple Fleet players have been placed on San Diego’s Injured Reserved List. It started with Jude Adjei-Barimah after Week One and continued to grow. John Montelus was placed on IR after Week 2, Philip Nelson was placed on IR after Week 4, and now two more players join them. Dontez Ford (Ankle) and Ja’Quan Gardner (Shoulder) have now been placed on Injured Reserve. Dontez Ford had recently been coming into his own on this Fleet Offense, stacking up receptions and yards during his last three weeks of action before an ankle injury sidelined him this past week before he was placed on IR. He totaled 347 yards over three weeks and had become San Diego’s premier receiving threat. He averaged 60.7 yards per catch in Week 6, and they missed him in Week 7, as San Diego lacked a true deep threat. With him being placed on IR, expect wide receivers Nelson Spruce and Brian Brown to step up and get more targets. While Ford was on the upswing, Gardner’s touches and yards have been going down since Week 4. He’s only had 30 rushing yards and 62 receiving yards since the Week Four matchup against the Memphis Express. However, his 311 yards rushing and three rushing touchdowns still paced the team through seven weeks. 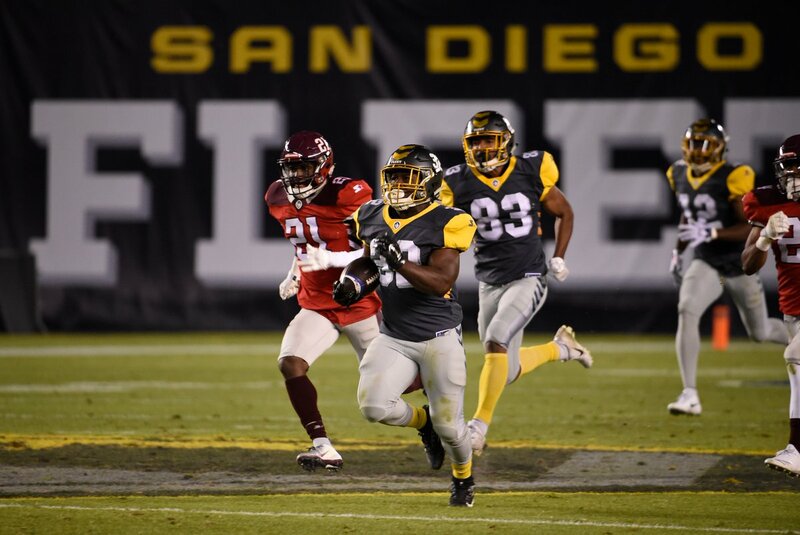 He piled up most of those yards during San Diego’s second matchup against the San Antonio Commanders, in which he ripped off an 83-yard touchdown run and totaled 122 yards. Terrell Watson and Bishop Sankey are likely to take up his carries after each had 40+ rushing yards against the Arizona Hotshots. It is unlikely that either of these players will be suiting up for the rest of the regular season. When placed on the Injured Reserve, a player is inactive for four weeks. 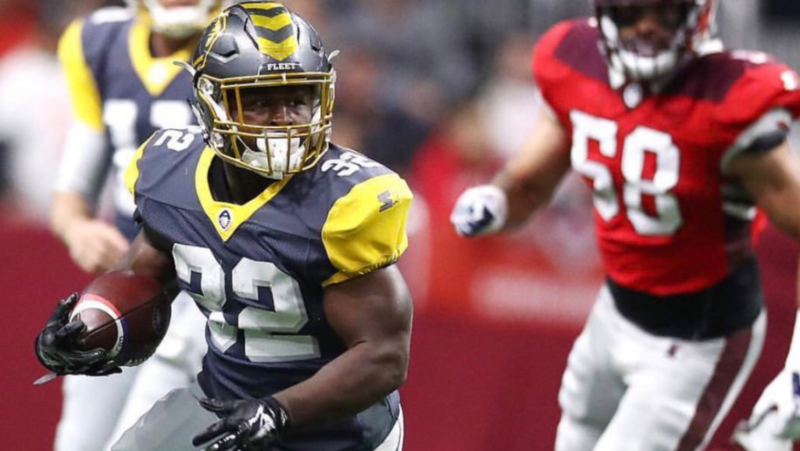 So unless San Diego makes the AAF Championship Game in Frisco, it is unlikely either of these players will suit up for the Fleet this year. But don’t worry Fleet fans, I’d expect both players to be back next season with something to prove. Injuries will keep them out of the NFL this year, but great seasons next year could push them to the next level. In response to the injury of Ja’Quan Gardner, running back Paul James out of Rutgers was re-signed to the roster. Expect James to play as more of a special teams player like he did in his first stint with the Fleet. During his first stay with San Diego, the former Rutgers running back only had one carry. Terrell Watson and Bishop Sankey will most likely take most of San Diego’s first-team running back snaps.